The word 'contribution' sounds very good for everyone. But, what can we contribute? We can contribute our skills, knowledge, money and time. In all these things contribution of our time looks more worthy because it is a non-recurring resource. After knowing what we can contribute, the next question will be in our mind as to whom we can contribute. We can contribute us for strangers, friends, family and society. The contribution is not a common thing for everyone. When people observe our contribution, they may take it in different ways. Few may ask about our expectation from that, few may give negative comments. From all these things we may start thinking as to why we have to contribute. 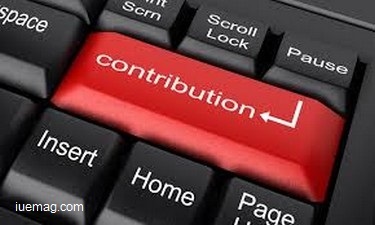 What is the use of the contribution if it doesn't reach properly? It will become a waste. Such thoughts come to our mind. Before thinking like this, just think once about nature. Nature is giving pure air even though we pollute that. Rivers are giving pure water even though human beings are polluting that. Just imagine, if it stops its contribution what will happen? Finally, I like to say the answer to the question- Why should we contribute? We have to contribute because it is the only thing which will give the highest happiness than any other thing in this world. Just imagine how you will feel when you get something which you expect and how you feel when you contribute something to the society for others need. Always contribution stands in a higher position. Contribution = Happiness. Any facts, figures or references stated here are made by the author & don't reflect the endorsement of iU at all times unless otherwise drafted by official staff at iU. This article was first published here on 1st June 2015. Sunil Kumar G is a contributing writer at Inspiration Unlimited eMagazine. Your ways of eating and quality of life - Are they even connected?